Have you ever tried an organ meat? What is your reaction when you hear the words: “liver and onions”…? Do your toes curl or your lips sneer? Do you get a queasy feeling in your stomach, whether or not you’ve tried the dish before? Liver and onions can be delicious – just try Dr. LoRang’s recipe! Though Americans once commonly consumed organ meats as part of an everyday diet, organ meats have faded from popularity in recent decades, stigmatized as being odd and gross options. Organ meats include: liver, brain, heart, tongue, kidney, sweetbreads (made of thymus gland and pancreas), and tripe (stomach lining). If you are part of the majority that shares a skeptical view of organ meats, reconsider your view for the five reasons listed below. 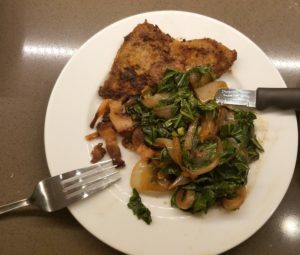 If you’re curious about Dr. LoRang’s favorite way to eat organ meats, try making his recipe for liver and onions, linked at the bottom! Eating well – for your brain, body, and overall wellness – does not have to be expensive. These parts of animals are the cheapest. Dr. LoRang’s favorite way to eat liver is in liver and onions. Try his liver and onions recipe and get step-by-step instructions for creating this dish at home.